After losing midfield talisman N’Golo Kante to Chelsea last summer, Leicester have been left fearing his replacement could be on his way out of the King Power as well. 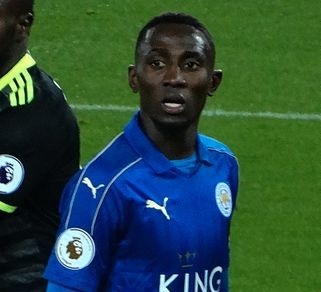 While fans have been raving about Kante’s performances under Antonio Conte this season, the role of Wilfried Ndidi at Leicester has been overlooked somewhat. Indeed, the 20-year-old is already being dubbed ‘the new N’Golo Kante’ thanks to his part in Leicester’s revival. According to the Mirror, that has attracted the attentions of Arsenal and Manchester United. The former Genk man only cost the Foxes £17million, but they could almost certainly cash in for more than that in the summer. It’s claimed Southampton and Hamburg are also keen, but they won’t be able to compete with the two top Premier League sides. Arsenal may well be in the market for a central midfielder, with Granit Xhaka having struggled in his debut campaign, and Francis Coquelin yet to convince. United have let Bastian Schweinsteiger go and could release out of contract Michael Carrick at the end of the season. Doubt remains over the future of Marouane Fellaini, so it would make sense for Jose Mourinho to bring in reinforcements.